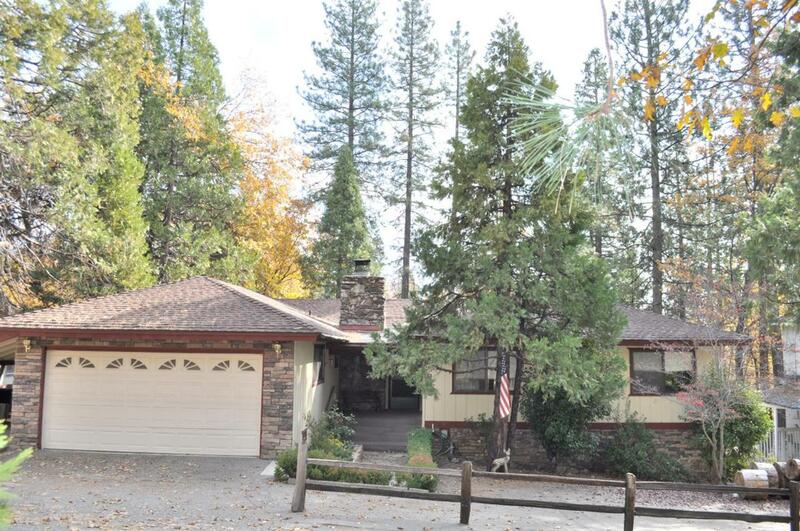 Amazing Bass Lake Vacation home with a boat slip on Manzanita Dock and a great vacation rental history! Three bedrooms, two and a half baths, with a bonus room that is now a sleeping room but could be a game room or whatever you can imagine. Nice living room with a real rock fireplace and bar area. Super kitchen with breakfast bar and dining area that open up to the deck for BBQ's and entertaining. There are other extras, huge laundry room with a half bath, two car garage, lots of trees and an awesome lot. Call your agent to see this one now before it gets away.